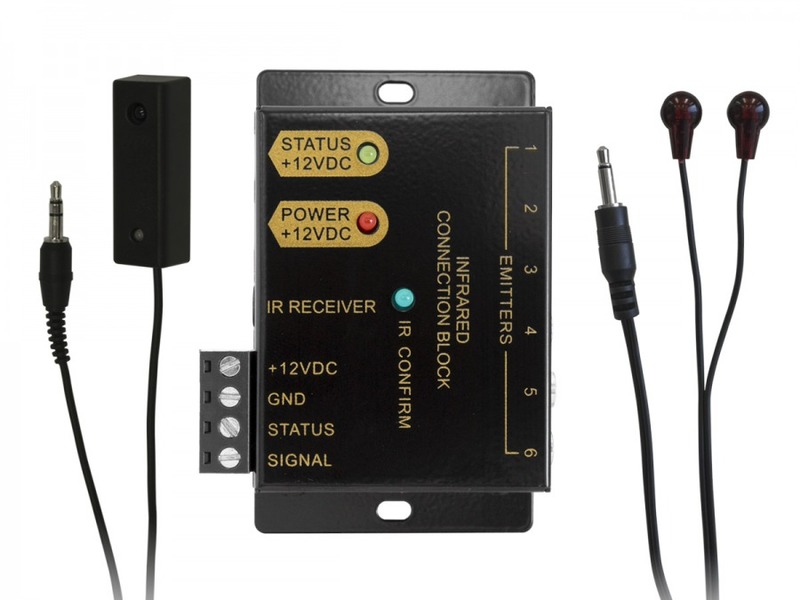 IR Repeater Kit with Dual Band Receiver + FREE SHIPPING! An IR extender kit designed to be compatible with professional systems but still be suitable for basic plug and play setups, the best of both worlds! Need a super simple IR extender kit to be able to control your out-of-sight gear? This one's for you! Simply plug the IR receiver and beamers in, point them at your equipment and turn it on, couldn't be simpler right? Have lots of devices that need controlling? Also not a problem! You can plug up to 6x double beamer cables (extras sold seperately here) to control up to 12x devices. You can even control your devices from a second room using an additional receiver cable (also sold seperately here). This kit is also designed to be as compatible as possible with other IR extension equipment. As well as the standard 3.5mm input port, it includes a bare wire screw down block so you can adapt pretty much any IR receiver source (even different brands and types of ports and hubs). The IR receiver is designed to handle pretty much any remote control signal, even the notorious Foxtel iQ2 and iQ3 controllers. 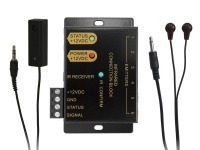 Both the receiver and beamers can be mounted to most any surface thanks to their self adhesive tabs and the connection block can also be mounted using screws. A truly consumer level and professional product all in the one system! Compatible with Foxtel iQ2 and iQ3 controllers! Thank you for great service. Have given your details to my friends.